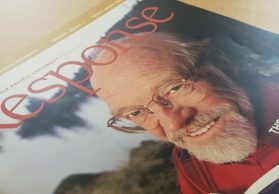 As Response was going to press, we learned that Eugene Peterson ’54, a pastor who wrote many devotional books and the popular contemporary paraphrase of the Bible, The Message, had died at the age of 85. 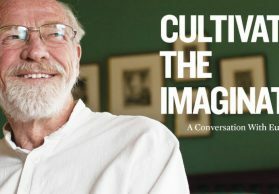 In the spring issue, we will explore Peterson’s life and work. Meanwhile, we’ve included links below to some of our past stories about him. 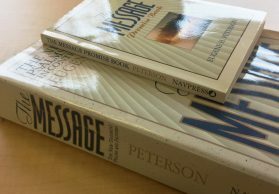 What has Peterson’s life and work meant to you? 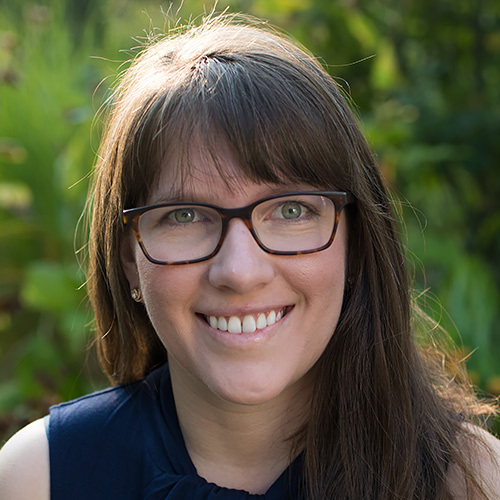 Email us at response@spu.edu or share your stories below by Jan. 1 and we may include them in our next issue; we’ll also enter you in a chance to win one of Peterson’s books. This note originally appeared on page 2 of the Autumn 2018 issue of Response. 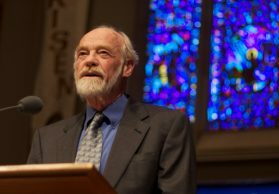 Eugene Peterson, author of The Message, says he was "a servant to the text"